Welcome to The Squirrel Class Home Page. This term Mrs Hopper and Mrs Penny will be your teachers with some help from Mrs Seaman. Mrs Williamson and Mrs Andrews are our Teaching Assistants. Mrs Clarke will come in once a week to listen to us read. This page will be updated throughout the year with news and information about all the exciting learning we will be getting up to. We hope you all had a super Easter Break and we are all looking forward to the term ahead. In Science, we will be investigating different materials, which will tie in nicely with our topic about homes throughout time. Please ensure your child's PE kit (both inside and outside) is in school from Monday to Friday every week. The children will be doing one session of PE inside and their usual session with Maidenhead Magpies outside each week. We are looking forward to starting swimming this term. Just a reminder that the children will need a swimming kit which must include: A swimming costume (not bikini) or trunks (not baggy shorts); a towel, a swimming hat (available from the school office); a pair of pool shoes (such as flip flops) and a waterproof bag to keep it all in. It is ESSENTIAL that all items are clearly named (not with a biro as this wears off very quickly). When all of children are getting changed into and out of their swimming kit, it is impossible for teachers to supervise where everyone is putting their clothes! You could really help out at home by ensuring children are able to get themselves undressed, into their swimming costumes/trunks and dressed again, whilst also teaching them to put their clothes in a neat pile or in their kit bag. Practising this at home will ensure we do not have as many items of clothing going missing! We will let you know as soon as we begin swimming and you will be able to see the swimming timetable on the school website. Please note, though, that this is just a guide - this is subject to change and the children should have their swimming kit in school EVERYDAY. This term's RE topic will be all about The Torah - the Jewish Holy Book. We will be continuing our Charanga Music this term and will be listening to and experiencing Latin music, Bossa Nova, Film music, Big Band music, Jazz, Mash-up and Latin Fusion. 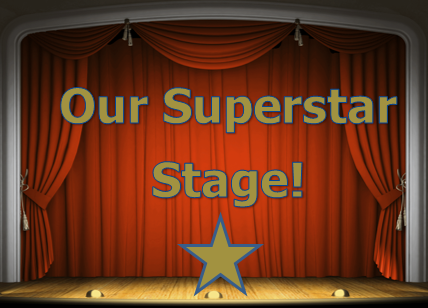 Keep a look out for photographs of all your superstar moments throughout the year! In June the children in Year One and some children from Year Two will be taking the Phonic Screening Check (PSC). This is a test to see which phonic sounds they are secure with. The check consists of real words and pseudo words (Alien Words). We are working on these sounds as part of their daily Read, Write, Inc work and are also doing regular practice work with the children. Please see the Phonics Screening Presentation on this page for more information. Education City provide many educational games which are fun, engaging and memorable to help develop understanding and reinforce classroom learning. Children will be able to access all areas of the program and will also have the opportunity to complete tasks set by the class teacher. The children can also access Mathletics now which is a new Maths homework programme. All the children have their own login and they can play games which develop their maths skills against other children in the school, country or even the world. They cannot communicate with anyone, only play maths games. They can earn points and certificates as they work on the games. Across this term the children will also be sent home activities that they can do to support their Phonics knowledge to help support their understanding of phonemes and graphemes. They need to be able to decode and read both real and alien (nonsense) words with confidence, to help build up confidence in preparation for the phonics screening check. Reading - Children should be reading regularly at home and having books read to them as well. Reading should not be seen as a chore but a pleasurable activity for all involved. The more you read with your child the more confident they will become as a learner in all areas of the curriculum. Spellings - Will be sent home weekly and we will have a spelling test at the end of the week. This will help the children learn spelling patterns, build their confidence in learning the High Frequency year 1 word, and develop their phonics knowledge of decoding. Please find below the Year 1 High Frequency words and the list of spells we will be covering this term. 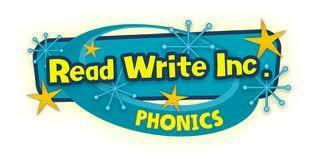 In our literacy lessons, we use 'Read Write Inc' - Let's Get Writing. We combine our Phonics, Guided Reading and Writing into one literacy lesson. This is an excellent way to show how reading skills link to good writing skills. Below, is the complex speed sound chart that we use to help us with our reading and writing. For more information about the Read Write Inc scheme used in school, please see the following links – or speak to a member of staff in school, we will be more than happy to explain to you how it works. 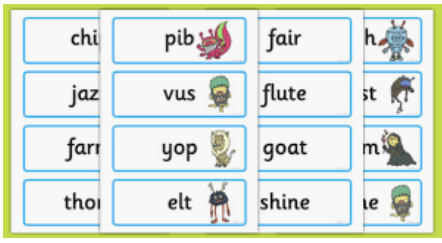 During the Summer term, everyone in Squirrel Class will be taking the ‘phonics screening’ check and we will be focusing on all the sounds on the 'Complex sound chart' to help us to read real and nonsense words made out of sets 1, 2 and 3 sounds. There will be an information night for this, so keep an eye on the newsletter for that! We love to read in Squirrel class. It is really important that you keep up your reading at home as well as in school. The more you read, the more ideas you get and the more your writing will improve! Whilst it is really important to be able to sound out and read fluently, it is also very important that you understand what you have read. Make sure when at home that someone helps you by asking you lots of questions about what you have read. Parents - there is a sheet of questions at the bottom of the page to help support reading with your child. Punctuality - Please remember that the children need to be at school for 8.40am. Arriving to class on time means your child can settled in ready for the school day. Class Fund - Each term we ask for a small voluntary contribution of £2. This goes towards extra resources, such as ingredients for cooking and arts and crafts. Thank you in advance for your support. PE Kits – Please can your child have a pair of named jogging bottoms and shorts kept in school ready for PE sessions. Some lessons will be outside, depending on the weather! Our PE slots are TBC; however these do sometimes change, so please can PE kits be in school ready every day. It is advised to keep PE kits in school for the term to help make sure it is there for when we need it. Water Bottles – To make sure all children are kept hydrated and ready to learn, please ensure your child has a named water bottle to bring into class. *To all my Squirrels – Learning is thirsty work, so make sure you drink lots of water to help feed your brains! Please feel free at the beginning or end of each day to come and speak to me if you have any questions. I am always happy to try and answer any of your queries. Alternatively, you can put a quick note in your child's diary for us to read and we can respond to it as soon as possible. Thank you for visiting our page and I look forward to another excellent school year! Questions to ask your child when reading. 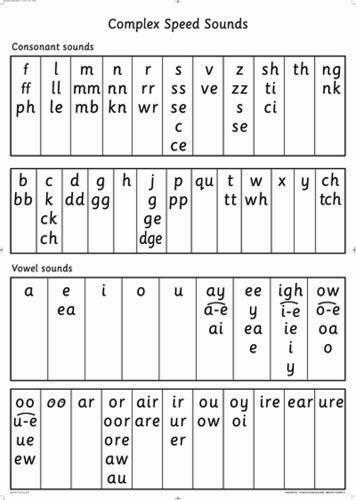 RWI Pronunciation Guide To support your child with their phonics. Starship Maths! Practise your maths skills with Starship Maths! Phonic games There are lots of phonic games on this link; one that I find particularly useful is 'foam phonics' as it can be used to blend any sounds to make silly words. This will help children with their 'phonic screening' toward the end of this year! Star Words Practise your High Frequency word recognition with Star Words!